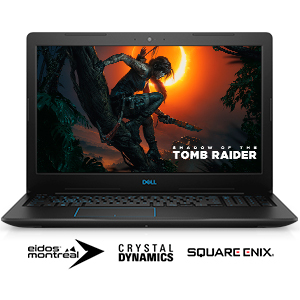 Dell gaming machines are engineered with the specific, demanding needs of the gaming audience in mind. From the latest processors to powerful discrete graphics cards, they make every experience more intense and real. 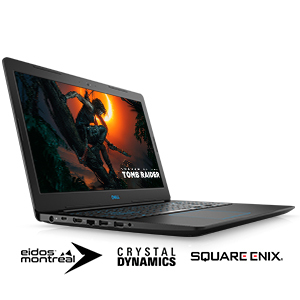 Graphically superior: Powerful NVIDIA GeForce GTX 1050 with 4GB GDDR5 graphics memory allows you to game at higher settings with crystal-clear detail and smooth, realistic gameplay for a more immersive on-screen experience. Stunning from every angle: Gameplay appears sharp from virtually every angle on the 15″ screen with a wide-viewing angle with in-plane switching, and an FHD anti-glare display. Bring the noise: Immerse yourself in superior sound with two front-firing speakers with Waves MaxxAudio Pro. More power. Better gameplay: 8th Generation Intel Core i5-8300H Processor provide responsive, powerful performance whether you’re gaming, streaming videos, or working on CPU-intensive projects. Stay cool under pressure: Dual fans let you experience uninterrupted gaming while your system stays cool. 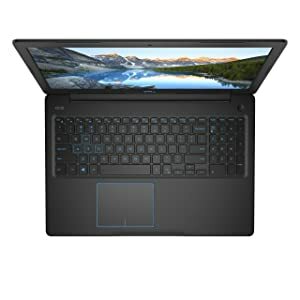 Built for speed: Dual drives with 128GB SSD and 1TB 5400RPM HD ensure faster performance and better reliability, and a new Ethernet port supports full 100/1000 Gigabit connections for quick performance. Improved wireless: With a fast, long-range 802.11ac WiFi, you can take advantage of the superior .11ac routers for a responsive, stable wireless performance. 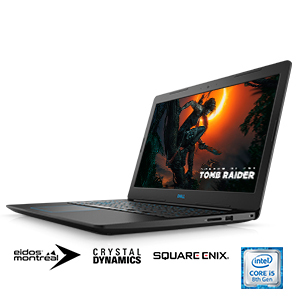 Thin is in: At just 22.7mm, the slimline design is the thinnest 15-inch laptop in the Dell G Series line, making it even easier to game on the go. Powerful ports: An HDMI 2.0 port enables 60Hz 4k output. Light up your game: Game clearly in low-light settings with the WASD backlit keyboard. Charge into battle: Power up and start gaming immediately with a 56Whr battery. 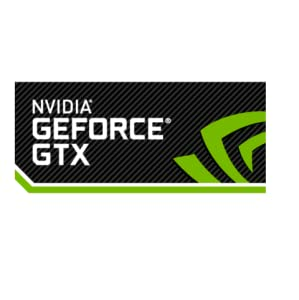 NVIDIA GeForce 1050: Everyone deserves great gaming. That’s why we created the fast, powerful GeForce GTX 1050. Now, you can turn your laptop into a true gaming rig, powered by NVIDIA Pascal—the most advanced GPU architecture ever created. It’s loaded with innovative NVIDIA Game Ready technologies that let every gamer experience the latest titles in their full glory.